♥.•*¨Author Elizabeth Mueller¨*•.♥: Darkspell--7 Different Ways to WIN a Copy! Ever skimmed ahead to see if anything bad happens to your favorite character? Well, here's your chance with Darkspell without having to actually read. How you say? Glad you asked! The easiest and funnest way of course is with chapter illustrations! That is one way that makes Darkspell so fresh and fun to actually read! Onto the free stuff . . . I've searched the web and have found 7 different ways for you to win a FREE copy of Darkspell! 2--Darkspell Launch Spookfesta! October 31st--SUCCESS! 3--"like" my fan page and automatically enter to win a Darkspell copy on Halloween! October 31st--SUCCESS! 4--Konstanz Silverbow's Book Giveaway! October 31st--SUCCESS! 7--CK Bryant Giveaway & followup chat with ME!--SUCCESS! It's easy to win! Well? What're ya waitin' for? WOOOOT! 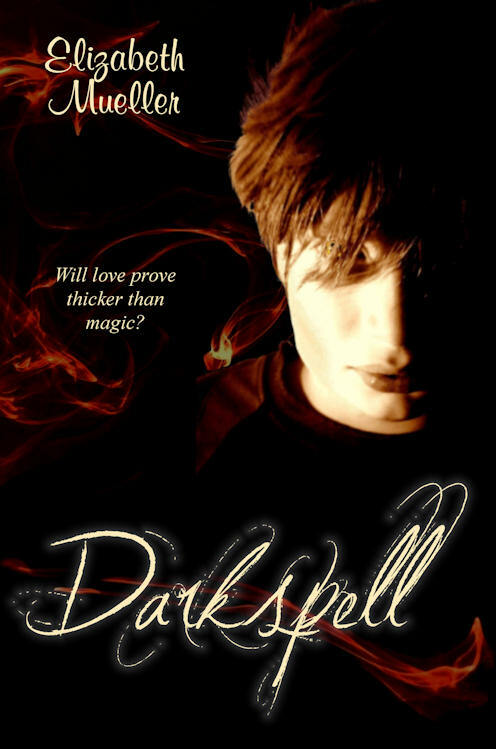 My debut novel, Darkspell YA Paranormal Romance releases this Halloween! Yay!! So nearly your book launch! How exciting!!! Enjoy and have a great weekend!! Wow, the release is literally around the corner. The cover is fantastic. I have already announced one winner! And on Monday I will be announcing a second winner. . . unless of course I get more than 25 comments. . . then I will be announcing the second and third winner! :D And I am giving away a special Halloween treat with the book! Tomorrow, tomorrow, the books comin' out, tomorrow. It's only a day a way. Congrats on the release , hoping to win a copy of it , the cover is so mysterious looking .